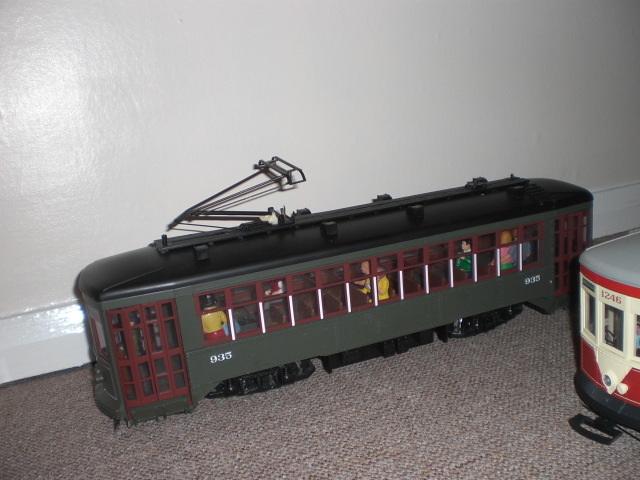 I have recently acquired around half a dozens LGB Trams, it was a case of an all or nothing purchase! Now I realise that I am unlikely to ever use them all so I am considering selling some of them, I was cconsidering listing them in the Private Sales section, but if there is not that much Tram interest, thought it may be more sensible to go straight to an auction site. I get the impression there is a fair bit of tramway interest on here but I don't know if that translates to willingness to buy LGB examples. I don't think it'll cost you anything to find out though. Its not the cost that bothers me its the time, and the fact that when Anything is listed on here ,I find that the listing is often hijcked with irrelevant posts! I have often suggested that the sales section should be limited to posts by the seller only and replies are sent by PM or emails as the instructions suggest. This is the system many other forum sales sections employ. However, I'm not sure that you've asked the right question, Steve. There may be quite a bit of tram interest, but how much tram activity, that might turn into tram purchasers, is another question altogether. Tram interest is high, and tram modelling is often met with appreciation. I'm not sure that actually translates into such a high number of tramways or railways. I will more than likely use eBay First!! The last 5 items I listed for sale on here were sold, but on eBay, which is the reason for my original query re Tram interest. What i find is when I sell something on eBay I ask the buyer if they are a GSC Member 9 times out of 10 they have not even heard of it, I am aware that several new members have joined up as a result. It indicates to me that there are probably many more G scale modellers out there who need to be converted. How about i create a tram only area just to see what happens? Hands up those who have an unfinished Ochre tram sitting arond and need a little re-motivation to get it finished. Or an LGB, Aristo, Bachmann, Lilliput example. Or even a live steam GVT or similar example. Then there are those other nice scratch built examples tha surface here from time to time. 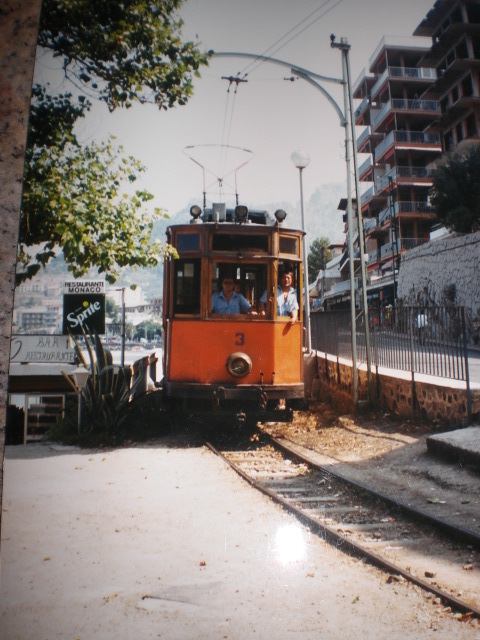 I think most of us have a little place for tram on our lines. Max........owner of a part built Ochre kit. Past owner of an LGB New Orleans streetcar. I too have sold stuff on Ebay and through communication with the buyer, find most of them do not belong to a forum. A few have since joined. Pity, Tramcar Trev is no longer a member. I think tram or streetcar layouts are fascinating and can be an operators delight. I will declare an interest, but whether that interest will ever be more than passing is hard to say. Tram section? Worth a try in my book. 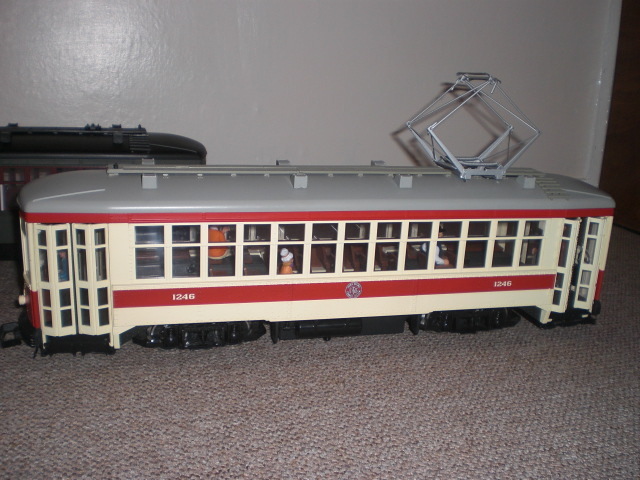 I don't own any tram models but I do have a mild interest in them, particularly systems and former systems of Oporto, Lisbon, Bratislava and Kraków so I would be interested to see what excites other forum members. I started G scale with a tram layout. Unfortunately at shows I bought items that were too big for the tramway so had to build a layout in the garden. 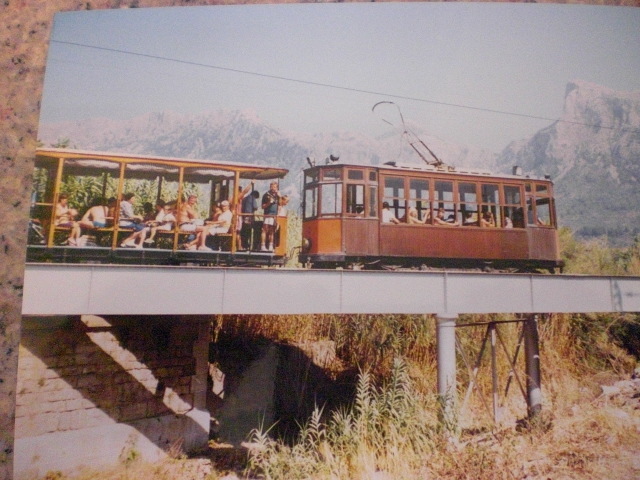 Trams are still taken to shows. Tight bends are no problem & short trains are the norm. 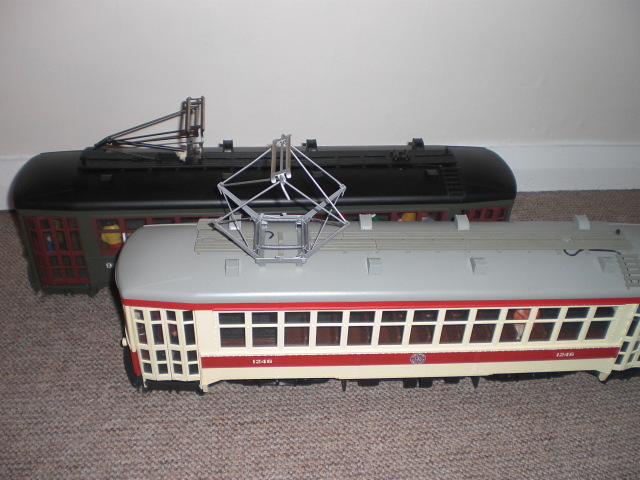 Ive got 3 G scale trams - The two Bachmann cars and an LGB works car, together with the HLW and LGB steeple cab electric locos. The Bachmann ones have more or less become display models only, despite them being the first 2 G scale items I ever purchased - both whilst on holiday in the US - long before a garden line was even thought of. The other three items do see occasional use, which may increase if I get round to putting some overhead wires up on part of the line. Hands up those who have an unfinished Ochre tram sitting arond and need a little re-motivation to get it finished. maybe we should all get together with our glue pots and assemble them! 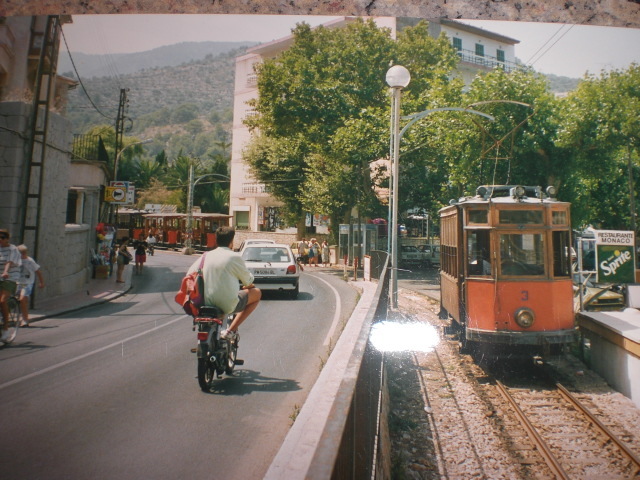 I knew it someone has mentioned Soller again!!! We used to there reqularly but not been for a while now, i am going to have to borrow some airmiles!! Nothing on trams for ages.. Then three of you pop-up together!! Mind you, I did purchase a copy of The Railway Magazine, as I am originally from Nottingham and there is an article on the two new lines they have opened..
Was there another 'tram' person who was after travelling on all the tram routes?? - Bit like the Branch-Line Society. I had thought of mentioning it on here.. There is also an article about the release of 'Big Boy' 4014, and its' restoration.. In fact, quite a bit of interest.. 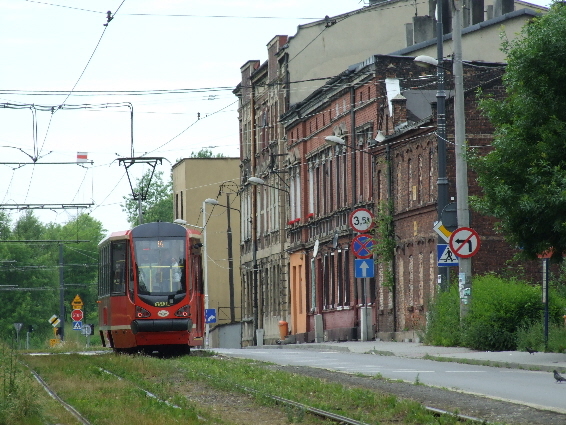 Given the non-operational plastic trolley pole they come with, your upgrade is a vast improvement if you want catenary operation. I did the same thing to my New Orleans trolley.